This Week in Laundry I get hooked on No Proscenium. 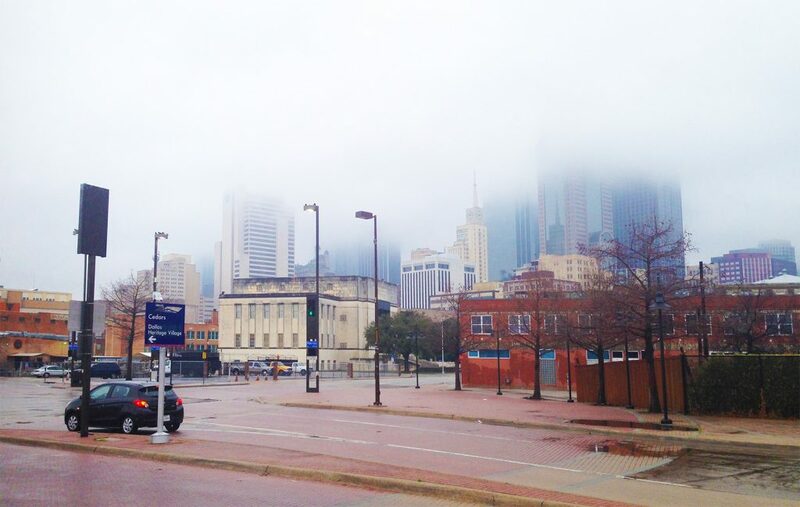 A layer of gloom consumes downtown Dallas. In rain and in fog. Gloomy Dallas. Borrowed from last week’s post. Not that it makes much of a difference to me. I still spend the vast majority of every day pouring myself into code. Making progress. And hoping that progress takes me somewhere. The work can feel tedious. Software often can. And for this prototype phase of the project, I’m a one-man-team. No teammates. With each small goal, lesson learned, correction, and achievement, rewards fall at the wayside. Because a tangible end goal – a demonstrable prototype – could yet take many weeks to achieve. While the goal post may be far away, and the daily monotony of software bereft of sweet reward and instantaneous gratification, I have found a small reprise. A recent obsession. A bingeworthy podcast. Called no proscenium. I first learned about no proscenium during my last trip to LA – while working on the LACMA grant. The podcast engages all things immersive experience. Mostly through interview. That includes theatrical productions. But it also touches on the full gamut-from the New Frontier portion of the Sundance Film Festival, to Two Bit Circus – a STEAM focused entertainment startup – to the mother of all expense and scope, Disneyland. During the fury and fervor of grant submission I only had the time for social media registration. It wasn’t until this week that I actually engaged enough to listen. And now that I’ve started I can’t stop. There’s a lot of fun in the format. 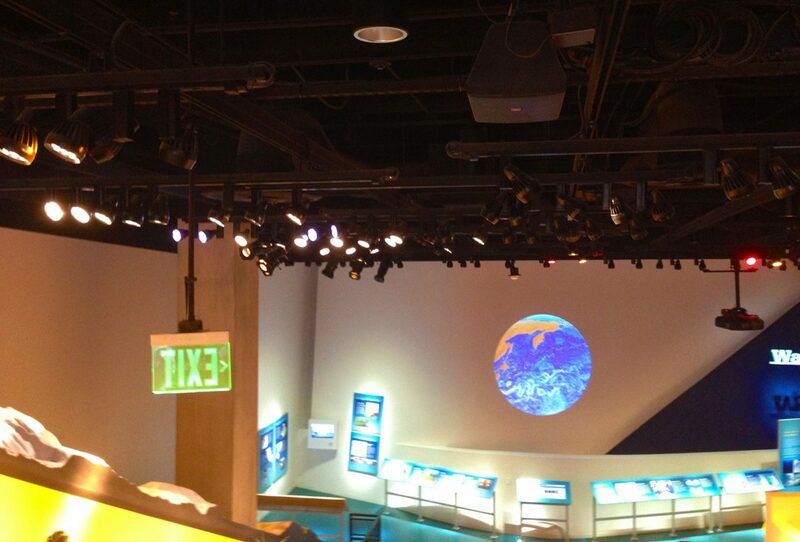 From the approach of our adorable host Noah, we see visions into the scene of this entertainment format. In many ways still quite nascent. Every interview somehow reveals some important and valuable insight. Particularly in addressing production problems. Or how directors approach the development and execution of their stories. Through this media – through Noah’s voice – I now somehow feel connected to the format. I feel connected to the scene. I feel a desire to participate within it. To learn from other’s work. And to create works of my own. There’s something important here as well. We’re at a strong point of change in the world of technology. VR & AR startups form left and right. And somewhere in-between, this theatrical format called immersive theater exists. In some ways it’s very new – with large build-outs like Punchdrunk’s Sleep No More in New York or The Speakeasy in San Francisco few and far between on a scene of otherwise small events. And yet, there’s something old and familiar. In some ways, the genre finds its roots in 1955, at a place called Disneyland. And it finds growth and experimentation through the local haunt – a common fall tradition. Now often with large commercial enterprises as well as backyard hobbyist experiences. Yes. That Disneyland. Borrowed from my second blog post – nearly a year ago. Noah touches upon these points. More than once. And somehow it’s all connected. While VR & AR technology continues to evolve, content and distribution lags behind. And large names and firms are taking notice – whether you’re Lucasfilm’s ILM creating the xLAB to experiment with storytelling using the new technology – or Dreamscape Immersive pulling in ex-Imagineering talent and Spielberg dollars. These organizations are investing in trying to figure out how it works. They’re experimenting. They’re building. And while there’s progress, there’s no viable product yet. No sustainably monetizable entertainment platform. I believe the answer to how it works will come through immersive theater. I believe these producers, directors, and players hold a head start. They’re already experimenting with how to sculpt engaging immersive entertainment. That’s the hard part. The tools and the format or venue – whether its live with practical lighting, theatric lighting, or exhibited with advanced VR tools – are all flavors and variations on how to tell that story. But the way the story works – the way we create the content and consume the content as people – seems to share a common core between these formats, despite the tools. I think Noah, through no proscenium, understands this. Because this podcast about immersive theater, or experiential entertainment, touches upon both pieces in equal parts. On AR. On VR. And of course, on immersive theater big and small. And, much like the repetition of my weekly wash, clean new podcasts show up once a week. And much like my weekly wash, comes to an end. If only to wait for the next one.